The B14 Flying Circus rocked up to Whitstable, with several arriving on Friday night to explore the micro brewery pubs and curry houses in the town and get in tune for a 6 race series. A weekend of mixed (to say the least) conditions was in store for the fleet! 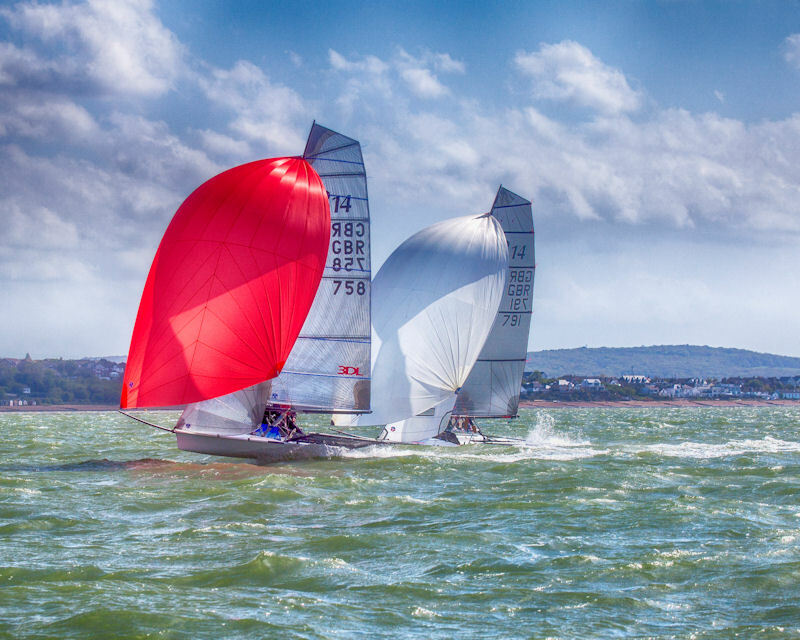 This weekend sees the UK fleet head to Whitstable for one of the favourite events of the season. Great sailing venue, bar and food - the Whitstable TT tends to be one of the best on the calendar. A great tune up event prior to the 2015 Europeans (see below!) in a few weeks time. Heading over on Friday night for a few pre-regatta beers is popular, more info on the forum thread. Day 3 and the B14 fleet woke to wind whistling through the rigging. R/O Mike Rayden held the fleet ashore for 1 hour to let the breeze subside from 35 knots. On cue, the wind gods did their job and the breeze started to drop around 1100. Helping each other and with some club assistance the fleet launched quickly into an onshore breeze and sea. Day 2 and the light winds sniggling we were promised did not materialize. Instead we had force 3 – 4 climbing to a solid force 4 – 5. But what a day on the water it was. The 4 front runners going into the day all had kite issues at times as the boats fired down the short steep seas. The gybing points were easily identified after the first laps as the front runners chased down the guys who had piled it in. It was definitely a day of it is not over till the Fat Lady Sings.